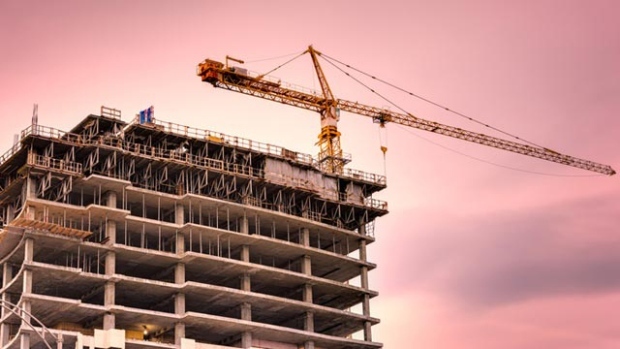 Investors accounted for almost half of the buyers who took possession of newly-constructed condos in the Greater Toronto Area last year, but it may become more difficult for them to cover their expenses with rent in the next few years, according to a new report. The report, written by CIBC Capital Markets Deputy Chief Economist Benjamin Tal and Urbanation Senior VP Shaun Hildebrand, comes amid growing demand and rising prices for condos in the Toronto area. Average resale condo prices rose 26 per cent in 2017, while rent prices climbed nine per cent, making condos an appealing option for people looking to collect rental income. But Tal and Hildebrand predict by 2021, increased supply and a changing economic environment could make it more difficult for investors to keep up with their expenses by renting out their units. Condo investors accounted for at least 48 per cent of buyers who took possession of a new condo in 2017, according to the report, while just over 20 per cent of those investors bought the unit with no mortgage. It also found the investors are generally between the ages of 40 and 60, and typically invest in condos as part of their retirement strategy, or as a way to help their children break into the market. Personal Investor: Is your house really an investment? But the report found at least 44 per cent of investors with a mortgage are currently in a negative cash flow position relative to the amount they collect in rental income. Among those in a negative position, 34.5 per cent of investors’ rental income falls short in their payments by $1,000 each month, while a further 20.1 per cent are short between $500 and $1,000 a month. At the same time, investors experienced “exceptional returns” on property value between the time they agreed to buy the units and the time they took possession. The report found, on average, the value of units rose 51 per cent over a five-year waiting period. As an example, investors who made a 20-per-cent down payment – about $75,000 — earned a 155-per-cent return before closing costs. However, the authors estimate that for new units that were pre-sold over the past year, and are tentatively scheduled for completion in 2021, rent would need to rise by 17 per cent over the next four years if there’s no change in mortgage rates in order to cover carry costs with a 20 per cent down payment. That number increases to 28 per cent if interest rates increase by 100 basis points and by 39 per cent if rates rise by 200 basis points.